So why not invest in some great self-storage solutions and tips instead? If you are planning to store your belongings, the most important thing to remember is to package them correctly, so that they remain in good condition. The whole reason for you chosing to store your items after all, is because you want to keep them for a later date, thus you should ensure that they are packaged with quality and in sturdy boxes that will stand the test of time. It is also helpful to purchase boxes that are all relatively the same size, this will help you utilise the space in the storage facility and make it easier to stack them too. If you have leather items then you should treat them with a special conditioner for this kind of material, as this will provide the goods with added protection for their time in storage. Another important tip is to wrap things correctly, especially if you have breakables and valuables such as art and ornaments and be sure to carefully wrap them in protective padding such as bubble wrap. All items that can fit into a box should be packaged into a box, which means avoiding plastic bags and similar materials because they trap moisture inside of them. When it comes to storage, moisture is certainly something you want to avoid, as it can become the breeding ground for mildew and mould, which will not only damage your belongings, but also leave them with a very unpleasant odour! Something simple that you may not have thought of, but could certainly save you a lot of extra time at the same time, is to place the items that you use the least at the front of the removals van, so that these boxes will be put at the back of the storage facility when they are offloaded. So if you ever need something important from your storage container it will be far more accessible. 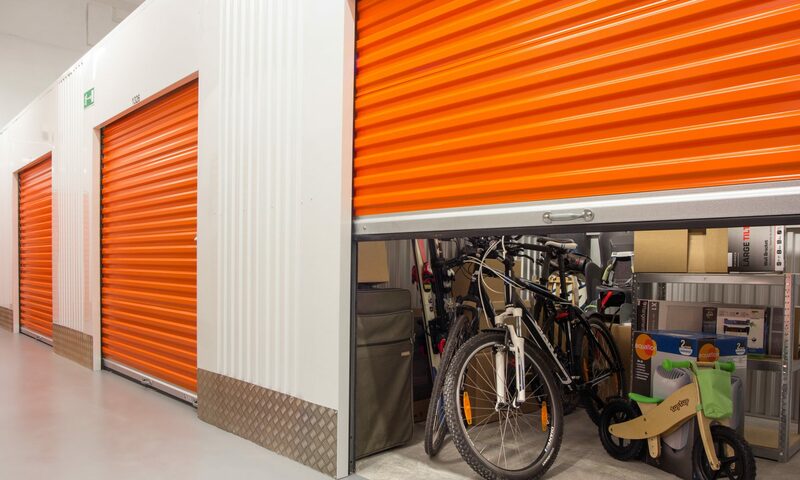 However, the most important factor to consider when choosing a storage facility is the environment of the unit in question. You should ask yourself: at what temperature will your belongings be stored? Will they be kept dry? Some research should be taken when considering which kind of storage facility to use; your best bet is to opt for a climate controlled room. These facilities are usually kept at a steady temperature of 55–80° and use ventilation such as central heating and air conditioning. This ensures that you avoid humidity, extreme temperatures and any damage to your valuables. It is also important to consider the space of your storage unit, start with estimating how much space you think you will need for your items by creating a list of the items you are planning to store and then continue to group these items according to how you will organise them. When deciding on a storage unit, try to leave some extra space because this will allow ventilation to flow through your belongings as well as giving you easier access to your items when you need to get to them. Last but not least, remember to never store anything that is flammable, such as paint and chemicals because this could result in an accidental fire hazard or damage to your property. It is also important to avoid storing perishable goods, as these will develop mould growth which will damage your surrounding items.